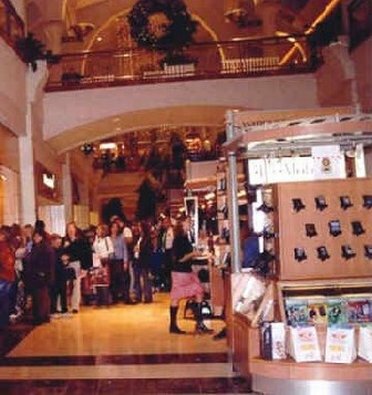 Menlo Park Mall in New Jersey is one of the area's biggest shopping malls, an upscale tourist and locals destination that is fun and easy to get to. The biggest stores are Nordstroms and Macys. The Menlo Park Mall has plenty of dining choices, including Benihana, Champps, The Cheesecake Factory, Fox and Hound, the Rainforest Cafe, and Romano's. There is also a huge food court, with fast food stops including Asian Chao, Cajun, Charley's Subs, Chick-fil-a, Kabuki Sushi, Michael's Deli, Aurthur Treachers' Sbarro, Taco Bell, Natural Salad Bar, and Wendys. 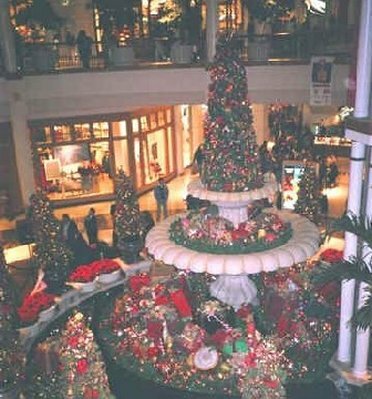 The Menlo Park Mall in NJ is open Monday through Saturday 10 am - 9:30 pm, and Sunday from 11 am till 6 pm. Take the New Jersey Turnpike to exit 10, then take the left fork, which is I-287N. Then take 1 North and take a right on Menlo Park Drive. Main shops: Nordstroms and Macys.